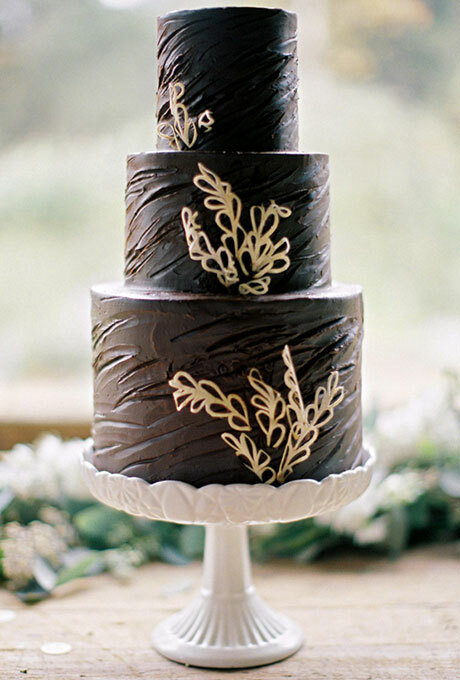 It’s the perfect cake for a fall wedding. Of course it’s also perfect if you love chocolate. The icing looks like a thick, fudge icing which is absolutely perfect in my book! And the white floral details add the perfect touch of elegance to a cake that could be boring without any decoration. I’d love to see this cake with something deep red or maybe even orange. You’ll find this cake here. It was created by Sweet & Saucy Shop.